Welcome to Day 2 of the Papertrey Ink December release countdown! There’s a whole lot of love in our post today as we share some great new products that are perfect for Valentine’s Day. The You Have My Heart includes classic images perfect for Valentine’s Day and sending your love anytime of year. 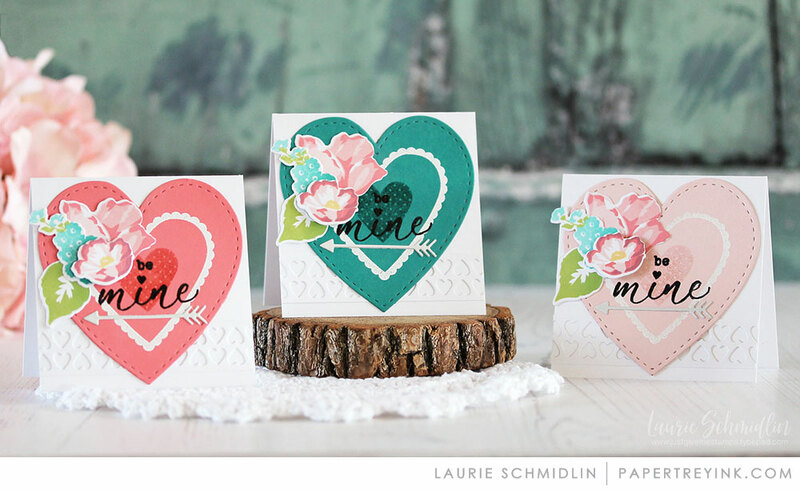 Use the coordinating dies with the stamp set images to create sweet little love notes, valentines, and tags. Available for purchase December 15th. CLICK HERE for further product details. 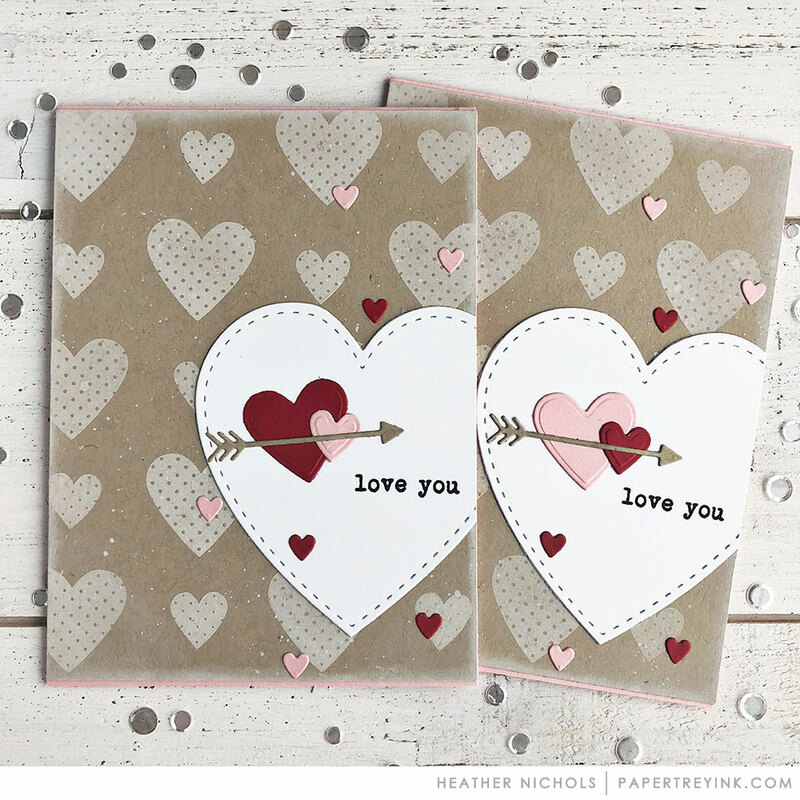 This cute little envelope coordinates with the You Have My Heart set and the two together are perfect to create sweet little love notes to send to your friends and loved ones. Our hearts are little jigsaw puzzles pieced together by the people we love. 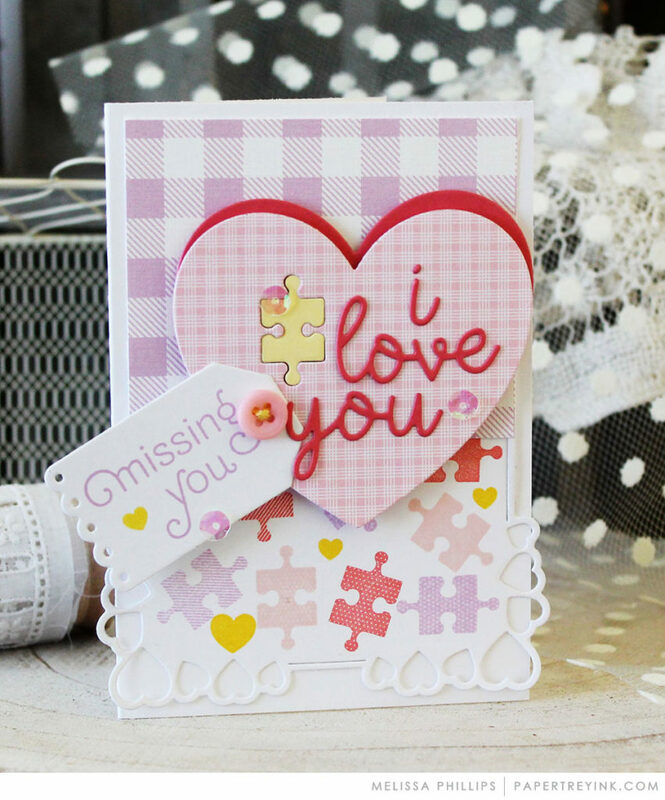 Perfect Fit includes a large-scale heart puzzle, selection of individual patterned pieces, and collection of sentiments to let you express your fondness to the special people in your life. 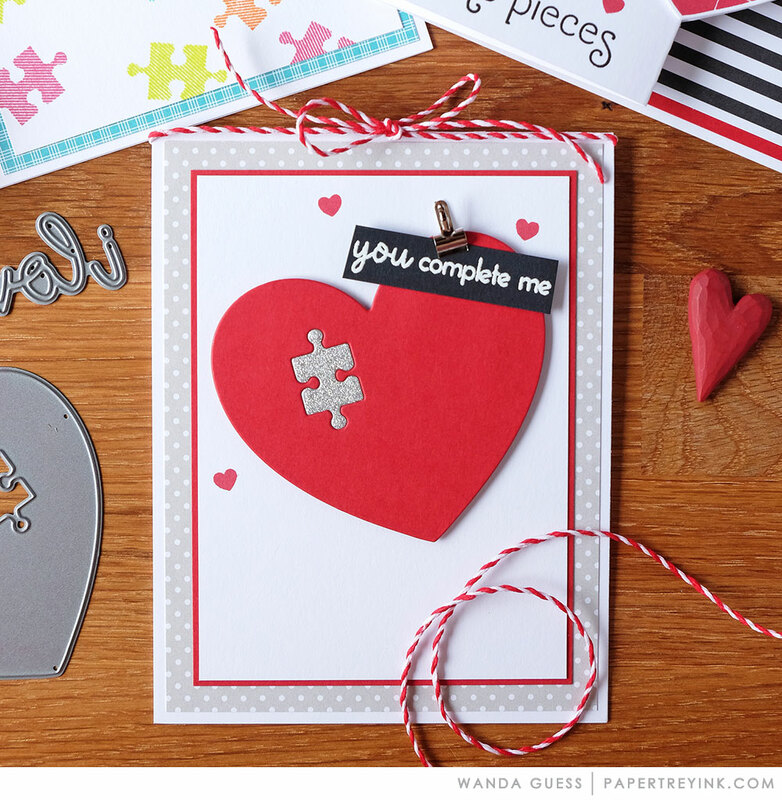 The heart puzzle not only makes wonderful cards and scrapbook pages, but it is the perfect size to create classroom Valentines and lunchbox notes for your littlest loves. The Ways to Say series is a set that gives you multiple ways to express a certain sentiment. This set features many ways to express the “I love you” sentiment. It’s perfect for sending a message from the heart to people are who are special in your life. 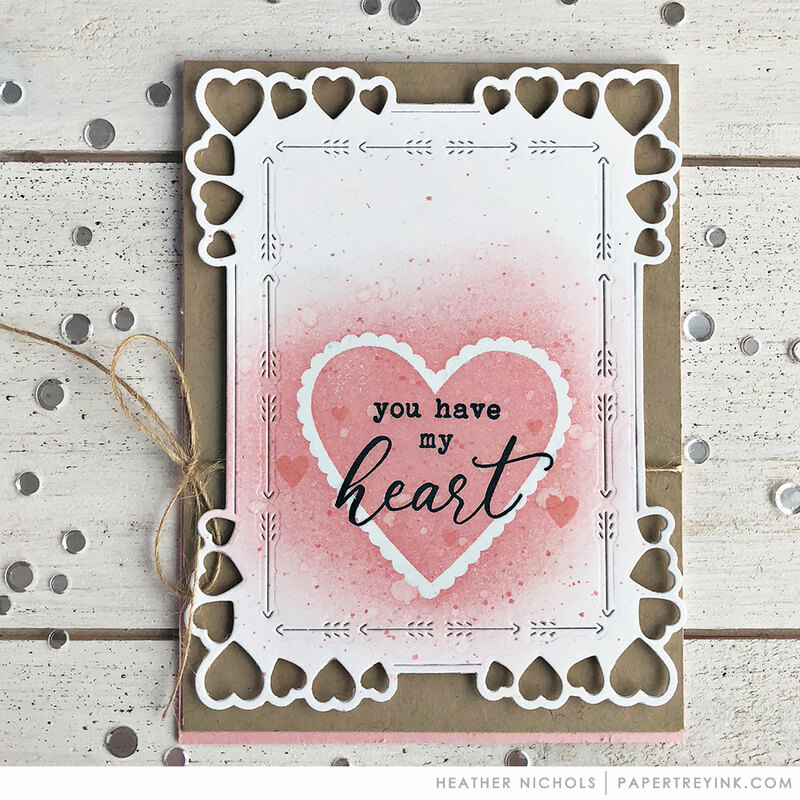 Heather Nichols is featuring You Have My Heart & Envelope. How perfect is this set for creating the cutest little Valentines? The envelopes have a sweet heart closure detail and the heart fits perfectly inside. 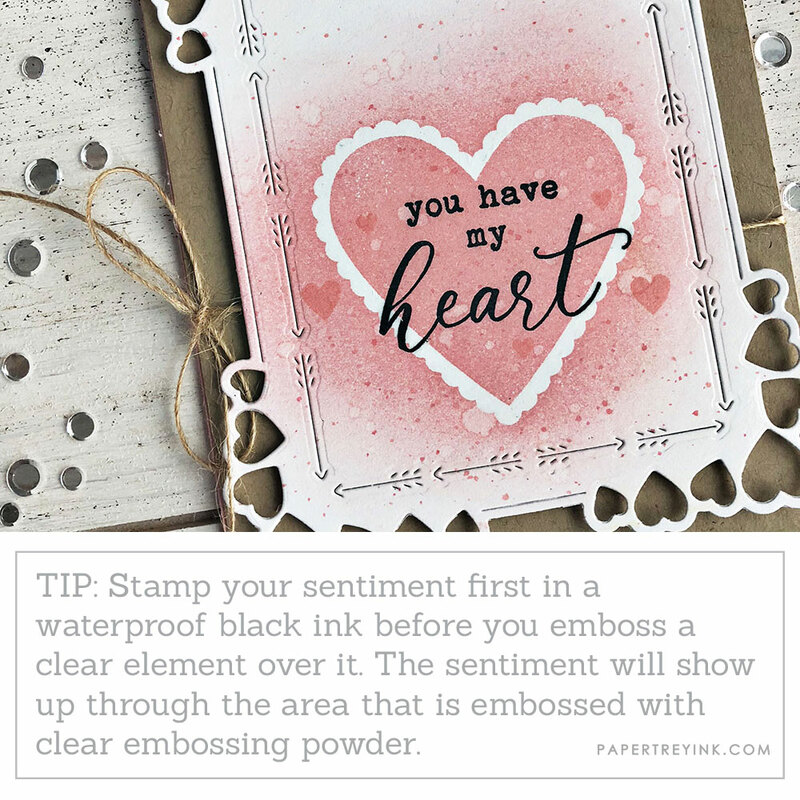 The elements of the You Have My Heart set include some great basics for using on Valentine cards. The images are so versatile that you can use them to build focal images or create great backgrounds for your projects. The You Have My Heart set coordinates really well with the Mix & Mat: Hearts die collection. All of the little stamped hearts add just the perfect finishing touch. 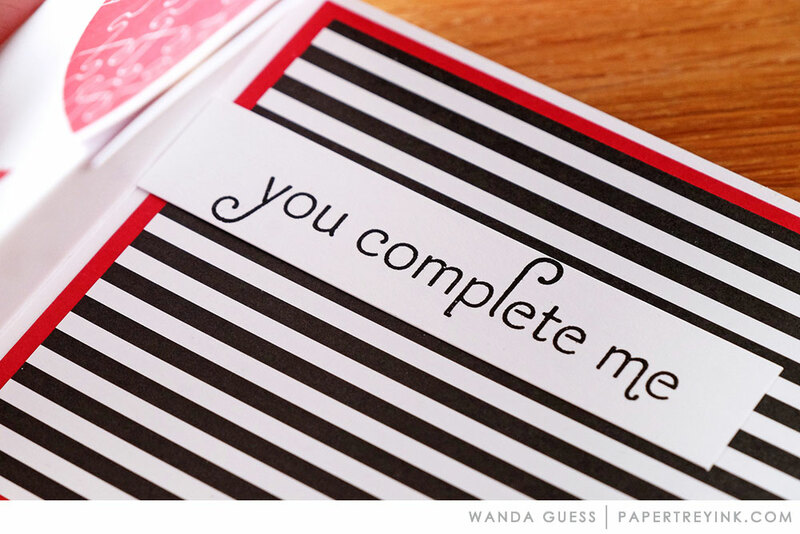 Wanda Guess is featuring Perfect Fit + Ways to Say: I Love You. The Perfect Fit set is wonderful for a clean and simple card. The metallic puzzle piece really pops in the solid red heart. 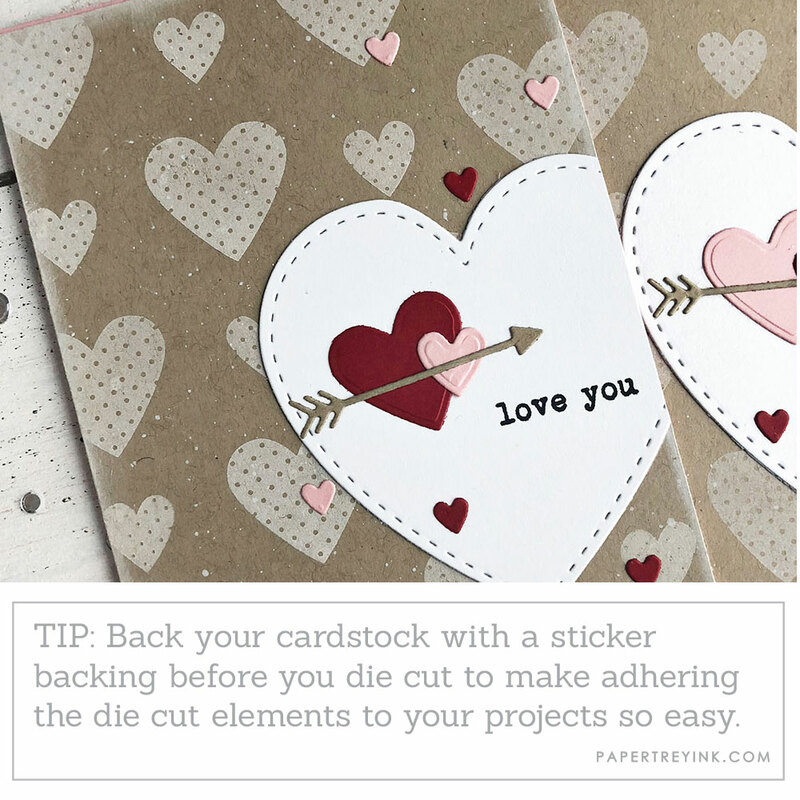 Pairing the Ways to Say: I Love You sentiment with the “you have a piece…” sentiment on the card is a perfect example of being able to customize your card perfectly when creating your projects. 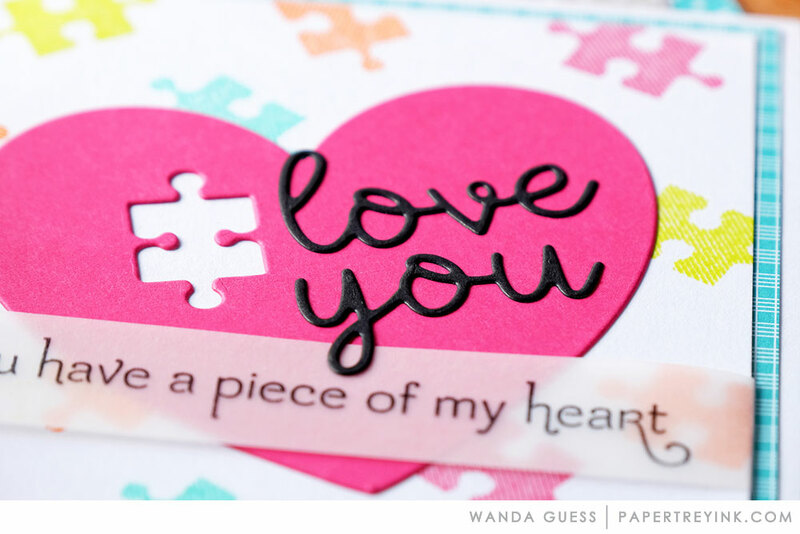 I love the bright and cheery colors that Wanda used for her puzzle piece background! How clever is this card with the fun fold feature? The striped Bitty Big paper peeking out from the inside is so striking and I love the detail of the popped up puzzle piece on the large heart. I hope you have enjoyed all the creations that I have shared with you today! We would love to hear your initial thoughts on everything we introduced! Please leave a comment on this post to tell us what you think of the new products and you will be eligible to win big! You have until 7am ET, December 12th to leave your comment and be eligible to win. Only one comment per person please. One randomly selected winner will be announced on our December Release Winners Page before noon ET the same day. Thank you for stopping by today and best of luck with the contest! Oh! So many wonderful cards today! Perfect Fit is a real winner and it will be a perfect fit in my stamp collection! Loving the “love” displayed in today’s projects! The heart and envelope are my fave. Although, Betsy’s little monkey is pretty adorable as well. So much love to go around! Heather’s adorable cards with the super cute kraft envelopes won be over right from the start. Wonderful new products today. Many more to add to my wish list! Cheers. Beautiful inspiration cards, just in time for Valentine’s Day! The Perfect Fit is, well, just perfect for Valentine’s Day cards! Love it! Really, all of them are adorable Valentine sets. Your samples truly entice me to want to have all of them! Wonderful ideas today! I’m lov’n the envelope and the cute puzzle set! Great new products, especially loving that sweet little envelope! LOVE all the hearts and love themed products introduced today! Can’t wait to have a Valentine making party with my grandkids now! So cute! I love the adorable new envelope die. Love the new envelope die! I am so excited for this new release! Wonderful inspiration!!! Love the puzzle piece and heart die! So cute and tons of applications! Love the valentines themed products! 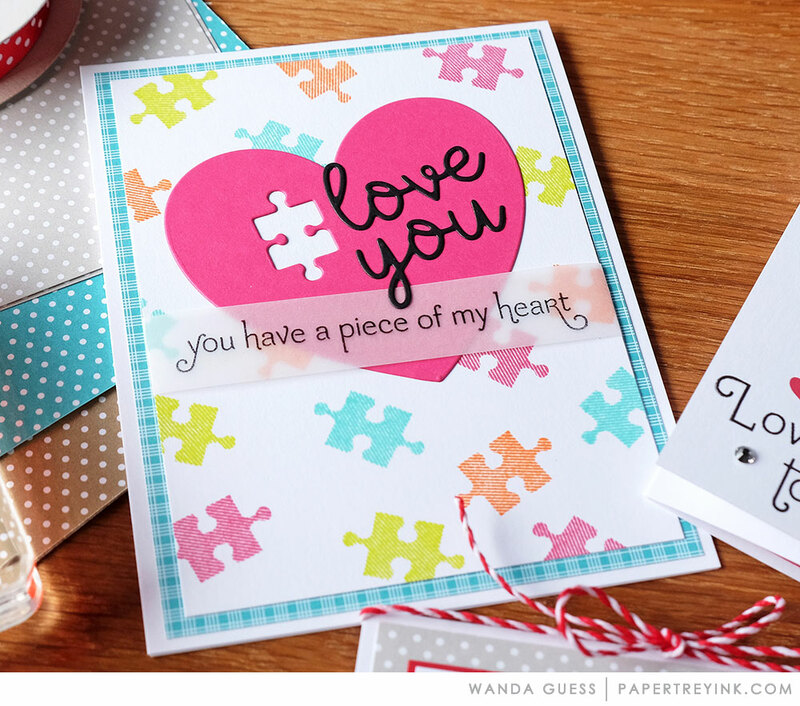 I especially love the heart with the puzzle pices and the sentiments that coordinate with it. Love the puzzle themed items! The envelope set is very cute as well! I was going to try and resist the Mix and Mat …. until I saw Heather’s card today. Now I have to have it! Everything was so pretty in today’s post. Loving this new release so far! Can’t wait for more inspiration to come. Wow, love all the hearts! One of my favorite images! So many beautiful projects!! I was so sad to hear about Nichole’s departure but I wanted to say that I love the new clean look of this blog. Thanks for continuing to carry the banner of our beloved brand, Papertrey Ink! 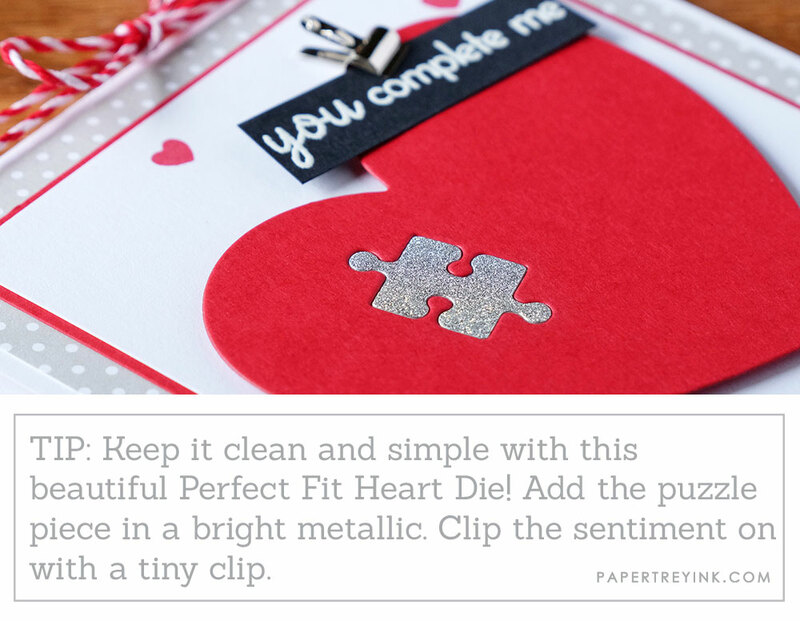 The Perfect Fit puzzle heart and piece look fun. 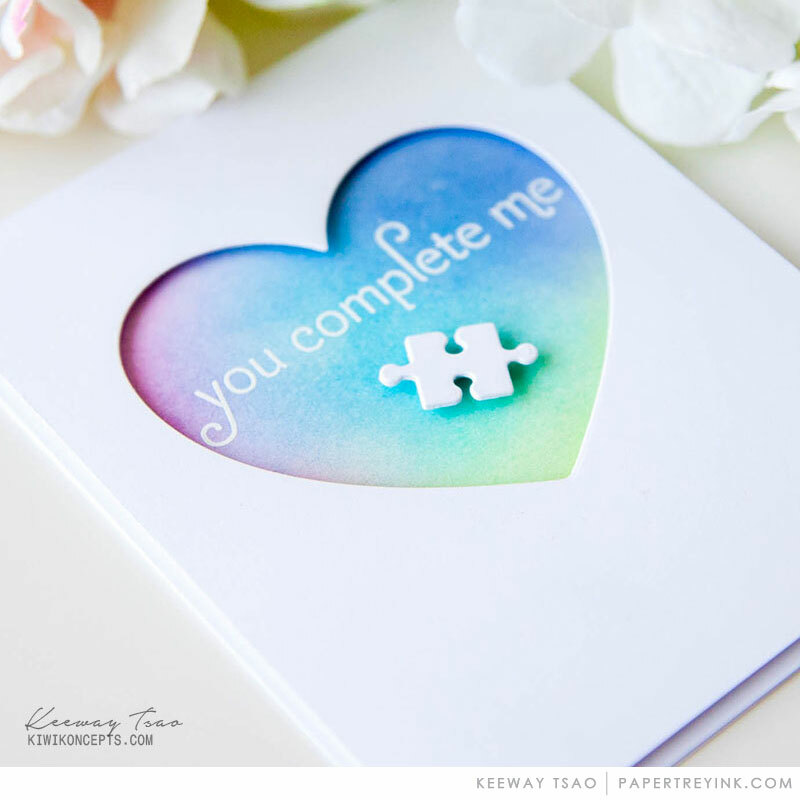 Love all the hearts…especially the puzzle! Love “The Perfect Fit” and the projects the DT created show how versatile it can be! Great inspiration! I really like the looks of the Pieces of my Heart set, & the Farmers Mkt Flowers continue to make me smile! So many creative ideas! My heart is with the Farmer Market Flowers, they combine so nicely w ith the Valentines! Love those flowers! A must have for me! Love the size of the new heart, it makes a great statement on the front of a card. Lovely inspiration design team! Wow! So much to love in this month’s release. Oh my sweetness!! 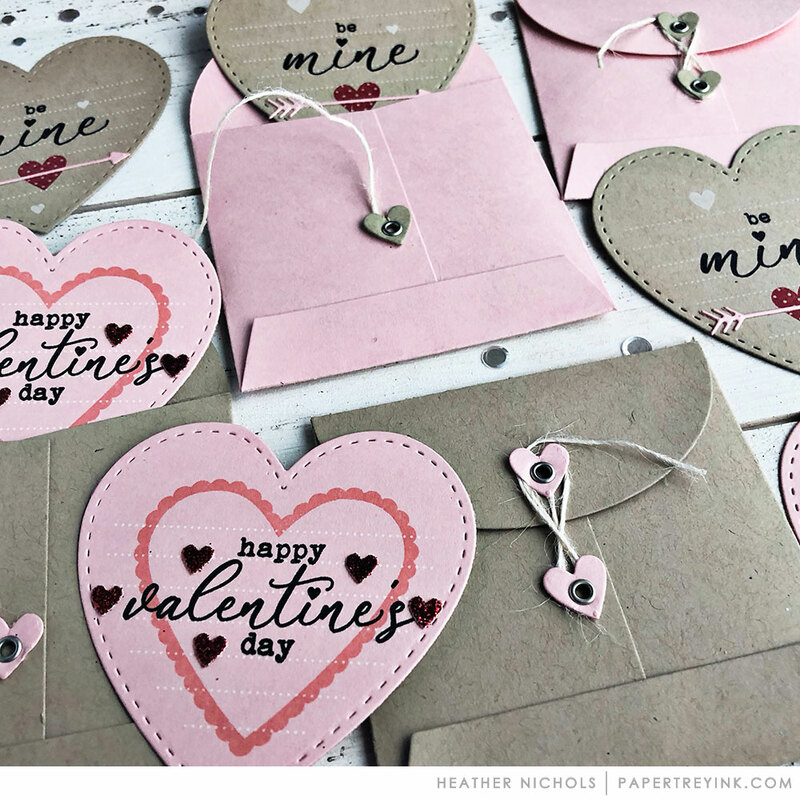 How adorable are those hearts and envelopes! Love ’em! Beautiful projects today! So many things are going on my list! Eeek. . . . .Love these new Valentine’s stamps but for now still must focus on Christmas cards, at least till December 15th, when the lovely new releases are available to buty. I love it all!! So many wonderful new stamp and die sets that I will “need”. And I have to also say, I am loving the look of your new blog more and more!! Great Job PTI!! I’m sure some of the changes were stressful, but you have all done an Amazing job!! I love perfect fit! Fabulous projects today! Oh my. That puzzle piece! Love all the sets today. Great job with the projects! I am loving all the heart themed products! That shaker card by Betsy is so adorable! So many awesome projects today! I need to quickly get my Christmas cards out, so I can transition to all this lovey goodness. Everything looks so amazing. I love the new envelope! I love, love, love the envie die! The stitched heart and die set is wonderful, too! 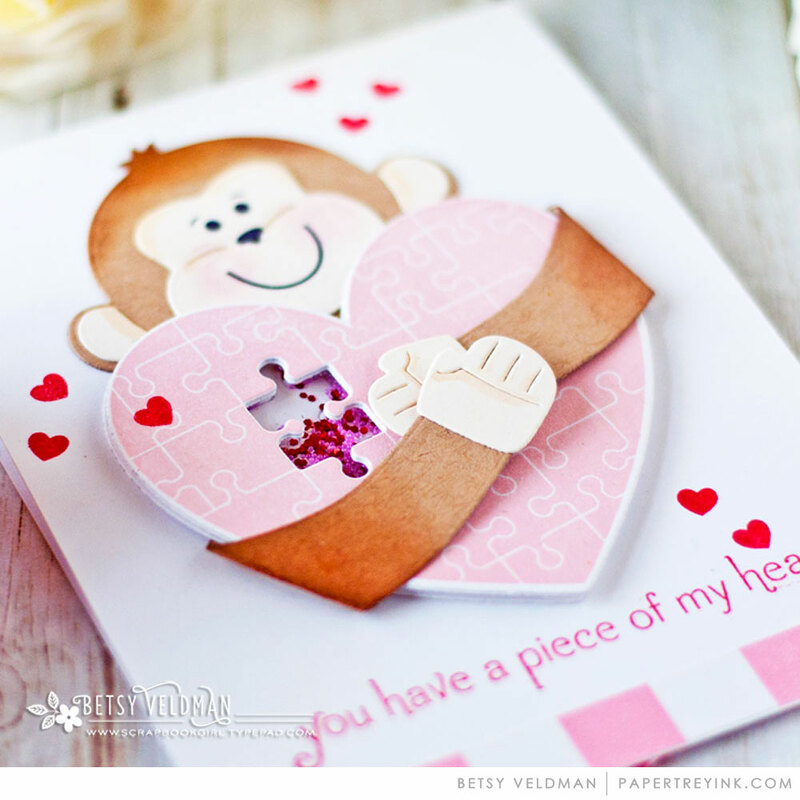 Perfect fit is adorable, love all the cards made with that little piece of the puzzle! Oh my!!!! Too sweet and cute!!! Love so much these cards!!! Fun new valentine’s products. Love the puzzle heart set. Wow, I just L*O*V*E everything! So many cute projects! So many awesome new products. Oh, that little puzzle piece die is sooooo sweet! Love all the samples today! So many wonderful samples shown today by the design team! those little envelopes make my heart go pitter pat! love them! I love everything about this release, but my favorite has to be the new Mix & Mat. Love is in the air and what a creative way to show it…thanks team. What a cute envelope! Would love to know the finished size. Such sweet Valentine love shared today! I ❤️This release! But seriously these are such precious ideas for Valentines Day or to send to my gorgeous granddaughter! As always so well done! I ❤️ PTI! I am in love with the new you have my heart collection!! The envelopes are so cute and I love all the adorable stamps. These are going to be so much fun to create with ? 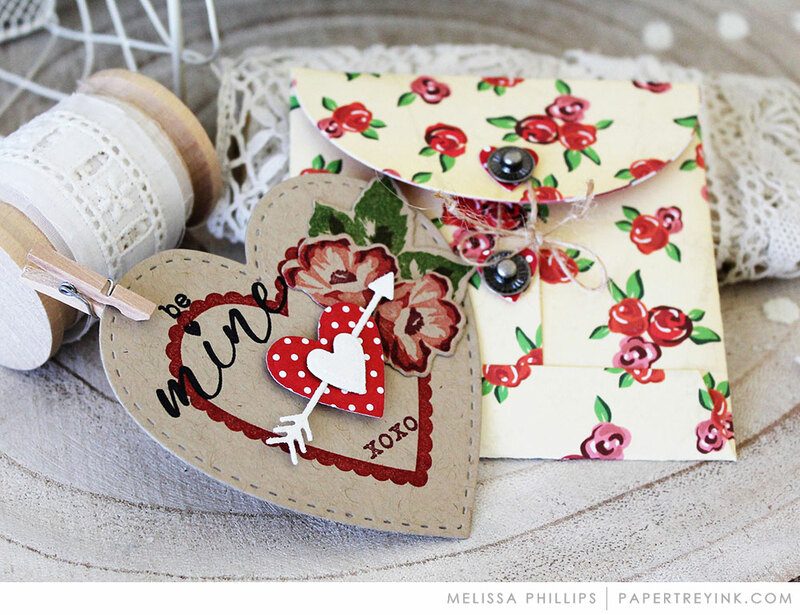 Love that sweet envelope…so perfect for sweet Valentine’s! Gah! It’s all so adorable today, how will I ever choose?!?! Love those super-cute envelopes, just so perfect for all kinds of little notes! Adorable! 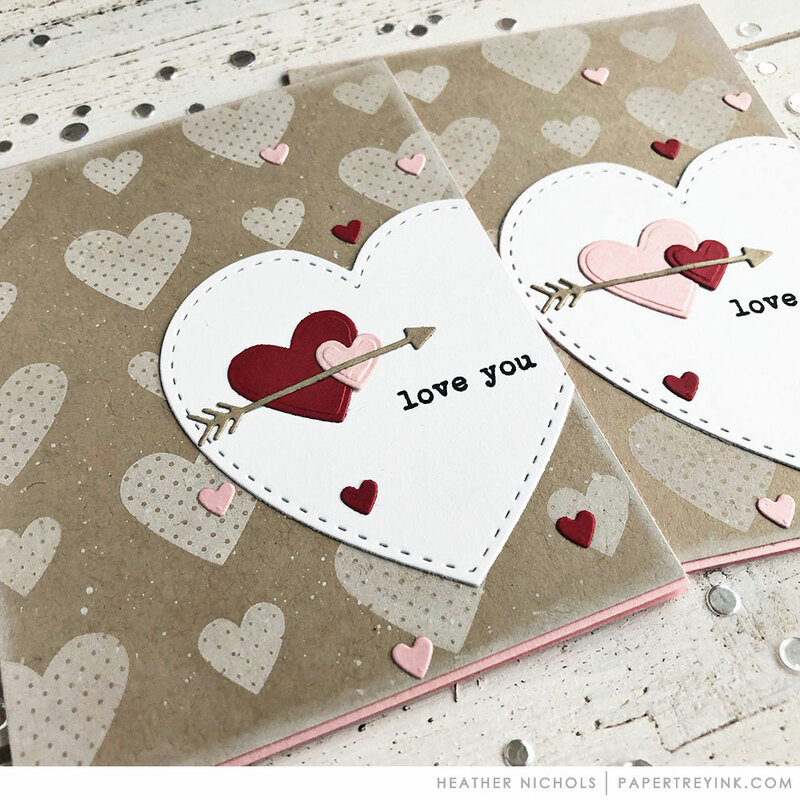 I love the hearts and envelope dies…lots of ideas going through my head with these! So many wonderful cards today with a ton of inspiration for sweet valentines cards. 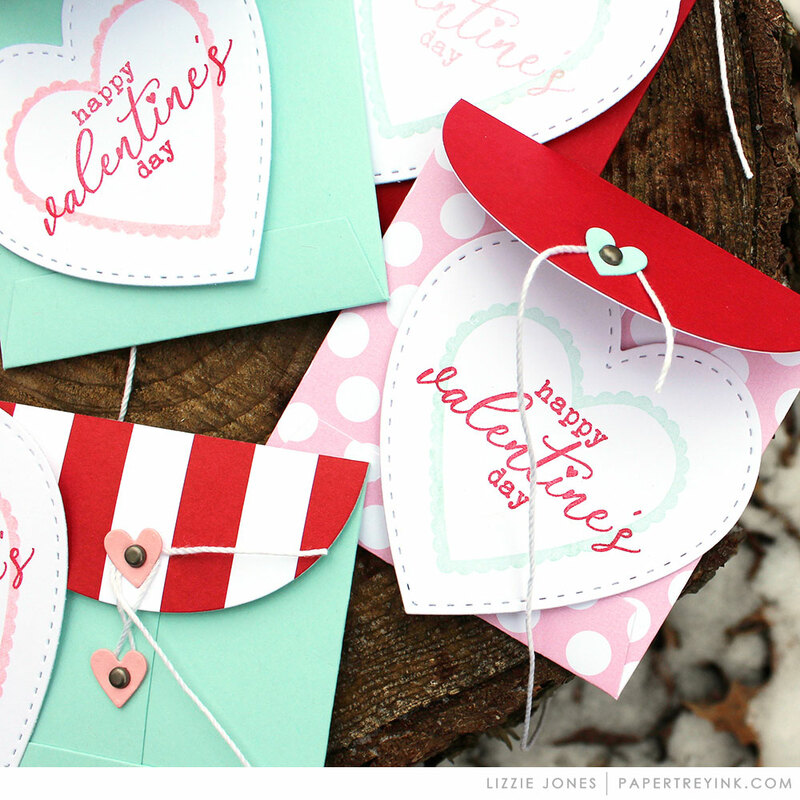 Love the little envelope and all the fun hearts! Thanks for the fab inspiration! Perfect Fit is such a wonderful and unique stamp set and I love that sweet little envelope. Beautiful projects from the Design Team! I always say “I love you to pieces” to my husband, so this is a must have! I love the heart with the puzzle piece! In love with the new envelope! It’s tie closure is perfectly romantic and chic. Love all the Valentines! Flowers and hearts, oh my! I love the Mix & Mat hearts. I love the new “you have my heart” envelope and dies, those are perfect for little valentines! Just love everything shown today! It makes the heart happy! What a fun day! I love Heather’s Hearts and the puzzle pieces are special. My Mom used to put a lot of puzzles together, such a fun memory! Ordinarily I eschew everything Valentine’s Day exceptBetsy Pin Up mini kit lol. However these sets have me reconsidering that, or at least making an exception. WOW! i’m not even ready for Christmas, but these are adorable. My heart just went pitter-patter at the sight of that sweet little envelope. Oh my, you get me every time! ?❤️? The mixing of the Farmer’s Market Florals with all the heart sets is beautiful! What gorgeous valentines! Adorable products today. The You have my Heart set and envelope are great new additions to the PTI lineup. Great samples today ladies. Such cute cards and envelopes! Love the puzzle piece idea! All the new hearts are so sweet! Love the puzzle theme! Oh my! Love the post today. The envelope and heart cards are a must have. Can’t wait for tomorrow! Just love all the delightful samples everyone has created. What great heart day products. Oh, that envelope is darling and so many cute heart cards too! The new coin envelope and Valentines products are very cute! 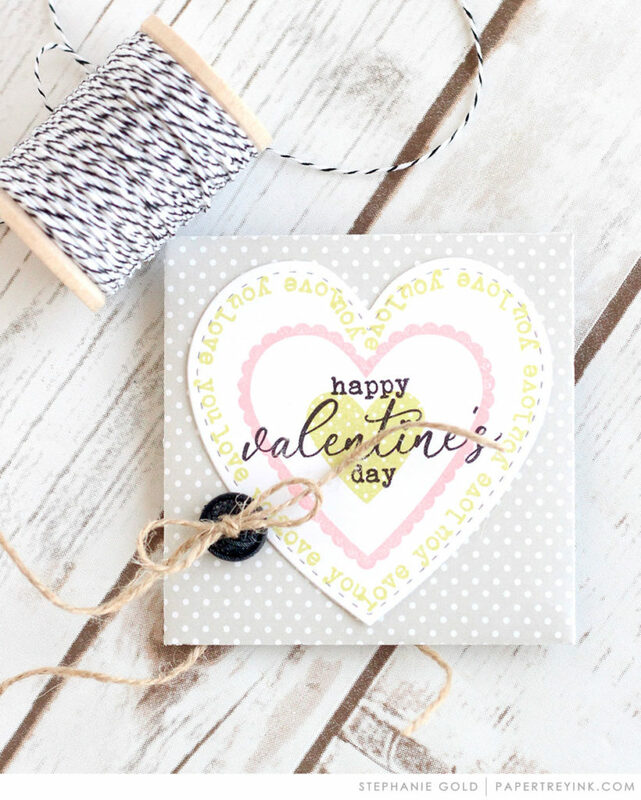 I like how you used hearts to attach the twine–to close the envelope!!!!!! The stitched die is great. I also like how the envelope die fits the heart perfectly. Flowers and hearts! Great combo! Oh girls! You have outdone yourselves and I didn’t think that was possible. Absolutely delightful and amazing work today. Wow, I LOVE it all! 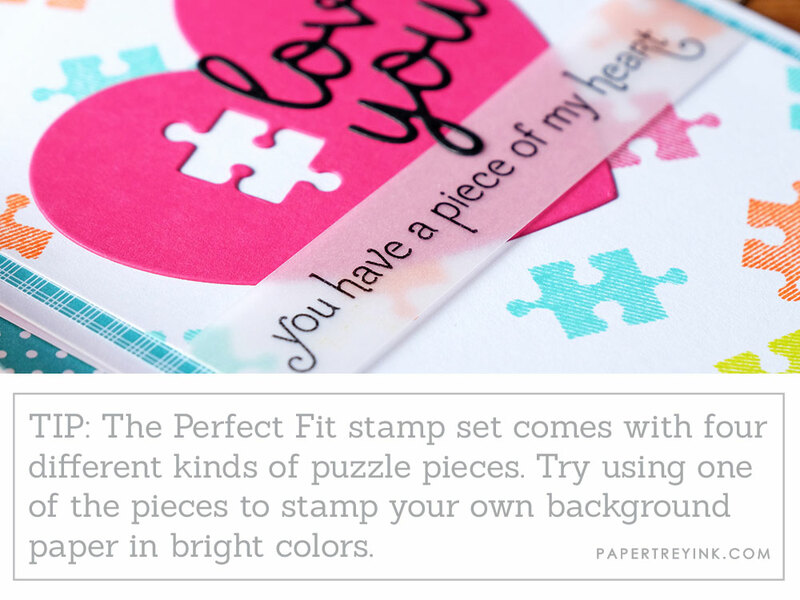 The Perfect Fit stamp/die set is exactly that…”perfect” for Valentine’s Day! Love all the inspiration. I’m just loving the Perfect Fit dies. Puzzles are one of my favorite things to do during the winter months, so this is perfect for me. Such cute samples. The puzzle pieces rock ! Such a fan of those little envelopes! I wish I needed lots of tiny Valentines. Perfect Fit and You Have My Heart are so sweet – I just love hearts!! Cute Valentine’s stuff! Love the monkey holding the heart. Absolutely adorable! I absolutely love the cute, coordinating envelope! This would be such a great way to make Valentine’s Day cards with the kids. Oh, I love the sweet envelope die! While I’m so not ready for Valentine’s Day, I do love hearts. :). The puzzle heart set is amazing! Such lovely, lovely inspiration! Great new products!! Love the puzzle heart! Great cards, y’all! LOVE all the beautiful new love themed products today! The envelope and hearts are a must have! My heart is so happy seeing all these wonderful heart products and projects! Love it all! Beautiful Valentine’s Day products and projects! I love Valentine’s Day…such a good opportunity to tell your favorite people how much they mean to you. Nice release…I especially love the little envelopes! Love the new products today and all of the beautiful and fun cards too! This is a fun release! I just LOVE the font on the Perfect Fit set as well as the puzzle pieces! 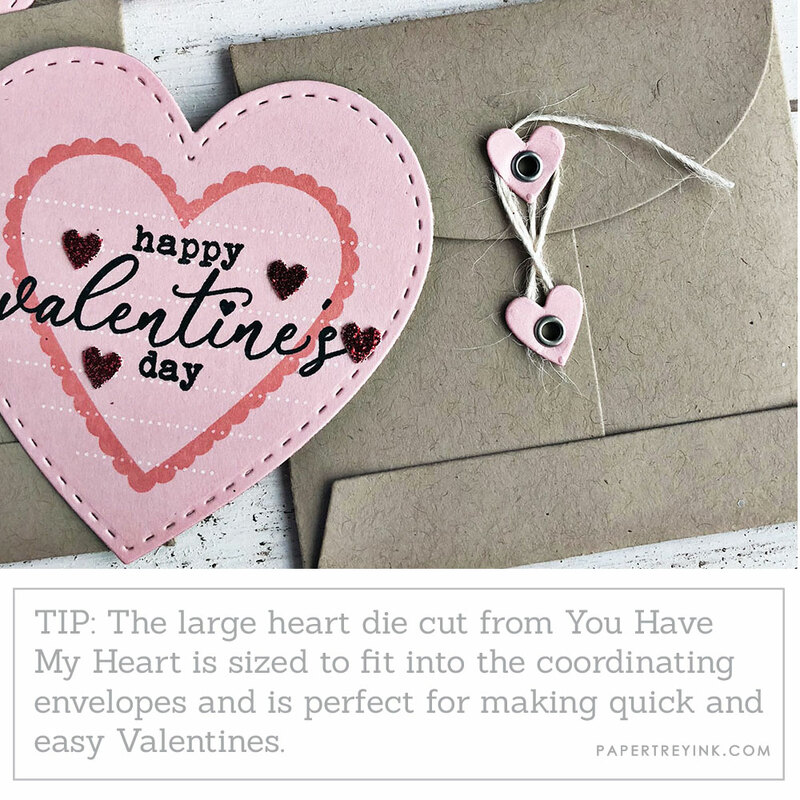 I can think of so many uses for the envelope that coordinates with the You Have My Heart set. Love it! Ooh, loving all of the valentine creations! I am in love with the mini heart cards and envelope. So fun to tuck in for your family!! How cute is that puzzle piece die!!??? LOVE it! Enjoying all of the hearts today. Looking forward to seeing the Ways to Say stamp set. 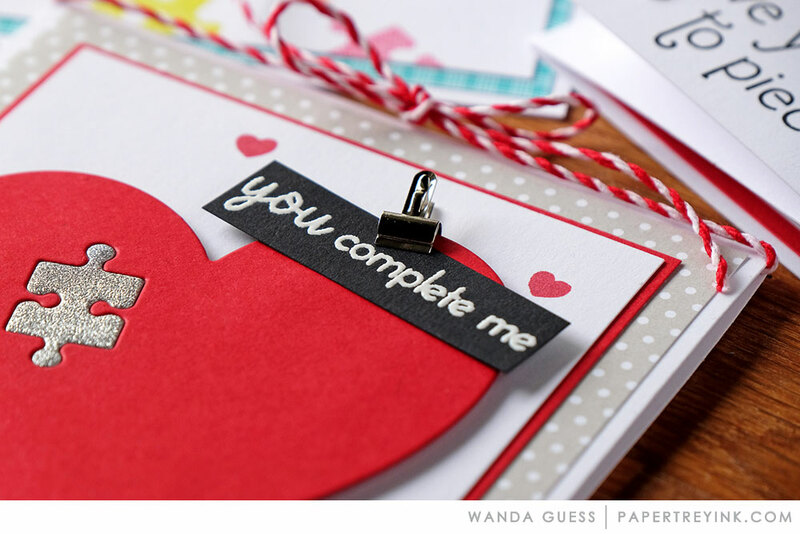 Oh what fun with cute little hearts, tiny envelopes and adorable puzzle pieces! Great job, ladies, and I’m enjoying the new blog more than I anticipated. ? What a fun batch of products today. We’re big fans of jigsaw puzzles in my family so the Perfect Fit set really appeals to me. I just love the Perfect Fit set!!! Fabulous. I LOOOOOOVE this fabulous release with lots of sweet hearts, and that puzzle piece is a steal of the show! Thanks for the wonderful ideas using these new products! GORGEOUS WORK!! That envelope die is so cute! So cute – you can’t have too many hearts!! There is just so much to love about today!! Such fun cards today…excited about the new huggable animals! The new little envelope is darling. You make everything so tempting…so much talent in one place, I love it. Wow! There is so much lovely goodness here today! I am almost overwhelmed by all the gorgeous samples. Loving all of it – my wallet is going to take a beating this month! 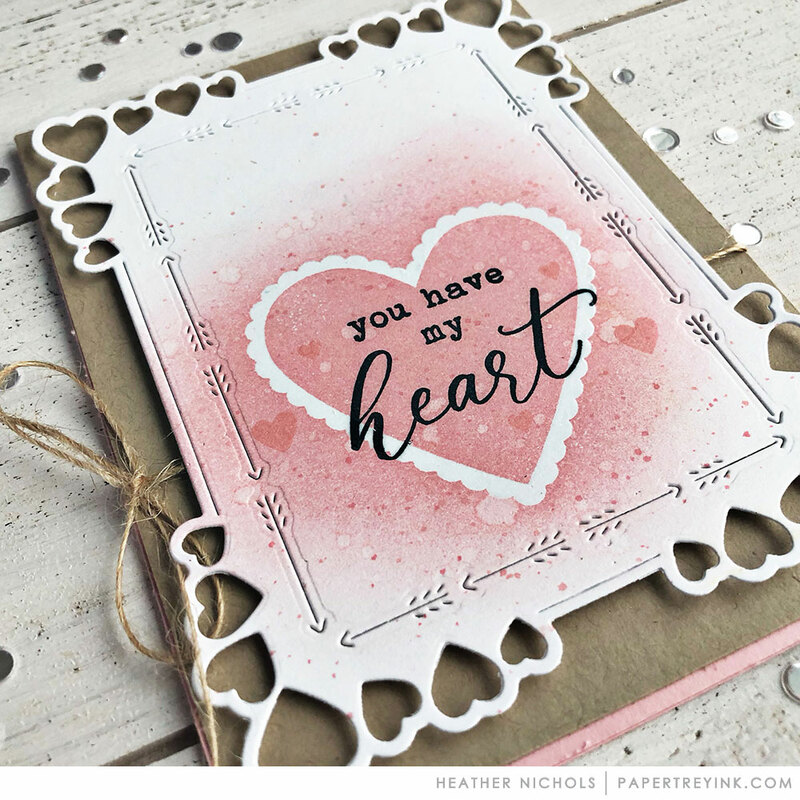 I love the You Have My Heart stamp and die set–so many possibilities and I love the design team projects! So many love-ly projects today! Love the new envelop die!!! The Valentine card designs are SO sweet. Spread the love, everyone! Everything is beautiful! I like Lizzie’s easy way of making envelope closures without snaps or eyelets. Love all the simple and easy projects using these new sets and dies! Love the 2nd day release! Looking forward to seeing what other goodies will be shown in the next couple days. Finished Christmas cards & are now ready for making Valentine cards! Love the little puzzle heart set. Perfect fit is adorable! I’m a major puzzle fanatic! I’m so in love with all the heart stuff. Mix and Mat Hearts is my absolute favorite! Love all the inspiration! Perfect Fit makes me think it will be a great set to use if one is wanting to use a stamp set for something for Autism Awareness since the puzzle piece is a logo for Autism Speaks. In addition to being a fun set, I love it for that reason as well. I also really like the You Have My Heart envelope! Great items! Looking forward to the release. Oh how cut is this! 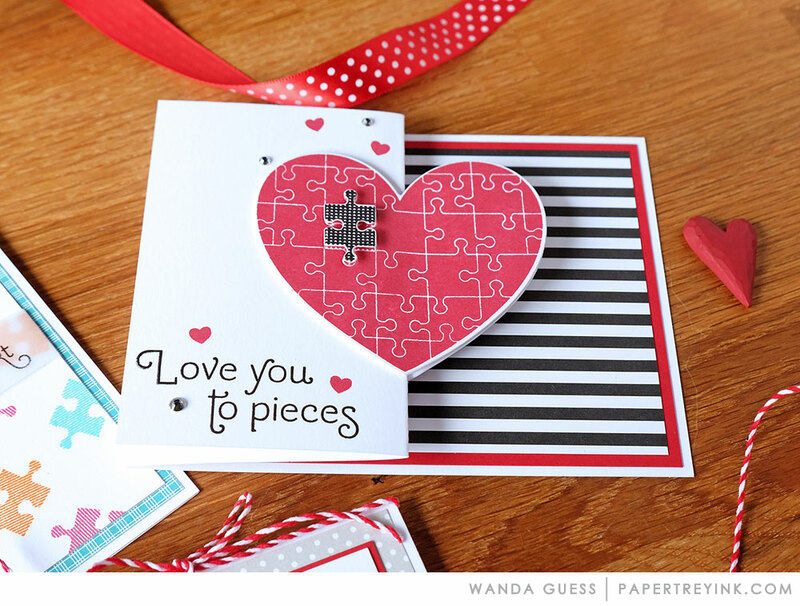 love the puzzle and envelope…what can one say! Wonderful projects. I love the flowers combined with the hearts. I always make around 15 Valentine cards. So cute! I love the envelope die! Love all of the heart products — the envelope and the puzzle piece. Wonderful creations today! The cards are so pretty, even though I do think the format is a little large. I love bigger pictures, but I almost have to step back from my lap top to take it all in. I know you are ironing out glitches, maybe this is one that can be changed a bit? The springier colors and puzzle pieces are a welcome respite from Christmas and I am looking forward to valentine cards. Love (pun intended) the Valentine projects! Fantastic showcase from the design team. pure sweetness today!! love, love, love the new mix & mat die set… gorgeous!! Loving all the hearts in this release. Thank you for the inspiration. Love this new blog format with more white space and larger project photos!! Great new direction!! I love all the beautiful hearts, flowers, little envelopes, and the mix and mat die. I want, I want, I want!!!!! Such sweet heart products, I love the beautiful Farmer’s Market Florals, too! Perfect fit is a perfect fit for me! ? Such cute cards!!! What’s not to love about love?! I am charmed by the heart themed creations shared today. Love the new products! I really look forward to the release every month. Not sure my email for the blog is being delivered. Have not seen it the last 2 days. Must keep an eye on that and figure out how to re-subscribe. Such great Valentine’s Day inspiration today from the design team. Day 2 is just as inspiring as Day1! I live this release and am already envisioning the cards I can make for my son’s class! I love the hearts and the little envelopes. They are so adorable. Perfect Fit is great, and the little envelopes are precious! I’M SWOONING HERE! LOOOVE EVERYONE’S VALENTINES!!!!!!!!!!!!!!!!!!!!!!!!!!!!!!! 😉 CAN’T WAIT to see the WHOLE RELEASE!!!!!!!!!!! I love the new you have my heart stamp and died. The envelope is just the cutest. Everything the design team shown today was simply fabulous. I love that square envelope! So many fun Valentine’s products! Lots of great ideas for Valentine’s day. Love the puzzle pieces. The hearts and the envies are super cute! “You Have My Heart” looks very sweet! And I love all the creative and varied projects featured by the design team. Inspiring, as always! Absolutely love all the Valentine goodies! Everything is soo sweet! Nice release with so many fun products! Sweet Valentine ideas! Can’t wait to create some! 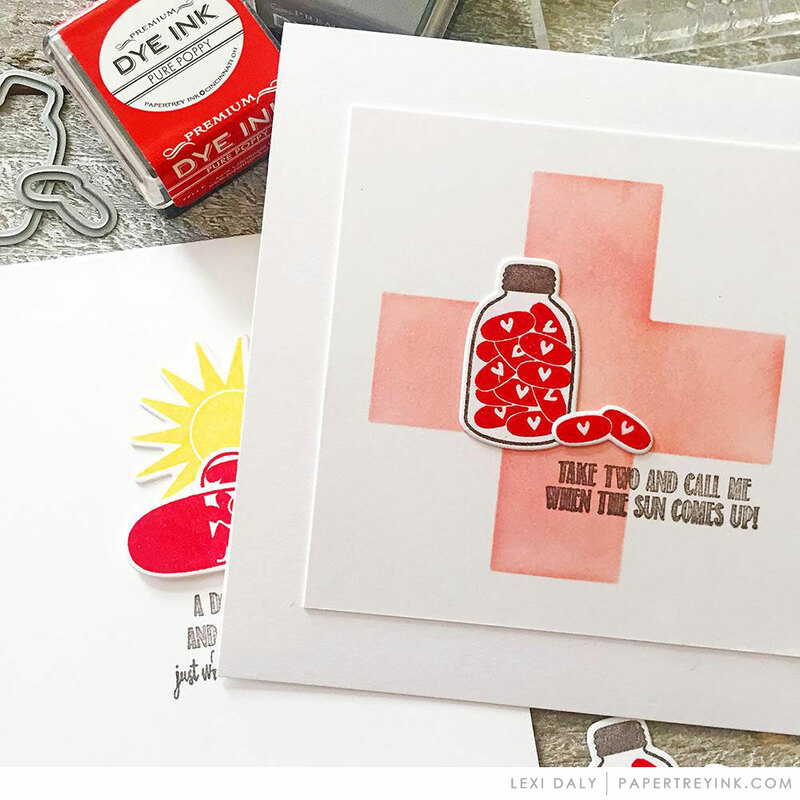 The envelope die will be wonderful to use all year! 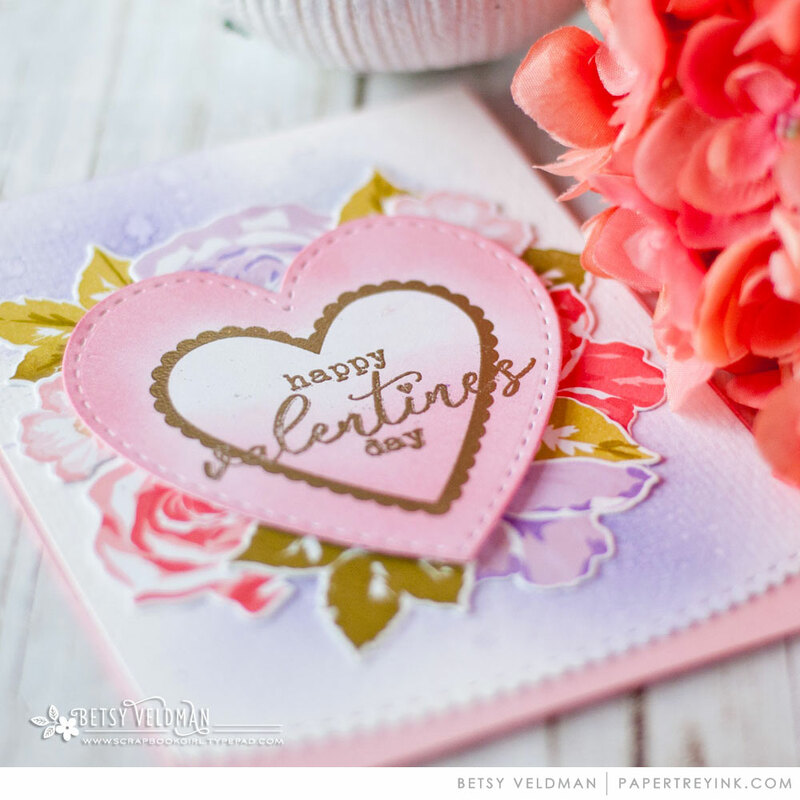 So funny, I saw a Betsy card that I would have guessed was made by Melissa and then Melissa uses kraft cardstock for one of her hearts! Such beautiful samples and inspiration, always love the peeks leading up to the release. That monkey is really cute! I love all the hearts, not only for Valentines Day, but also anniversary and wedding cards. Fabulous creations! Love all the new goodies today again!! Ways to Say I Love You looks like fun. Another terrific release day. What a cute peek today! I love that little heart envelope. Oh, the possibilities! I’m seeing lots of ideas for Valentine’s Day! I love everything today. Valentines cards are my favorite to make, all the hearts and pinks make me happy. Love all the Valentine’s day inspiration. I love all things hearts! So many great choices this month. Thank you for the fantastic inspiration. I love that the heart will fit perfectly into the envelope. Can’t wait for that envelope die set. So many great products and ideas showcased today. The mini envelope is so versatile and Perfect Fit will be a definite crowd pleaser. Lizzie never disappoints with her clever designs. Perfect Fit is just perfect! The You Have My Heart set, especially the envelop is just adorable. Love love love all the hearts! My Valentines will really wow this year. ? I really like the You Have My Heart set and the examples I’ve seen today made with it. And, that little envelope is just so sweet! 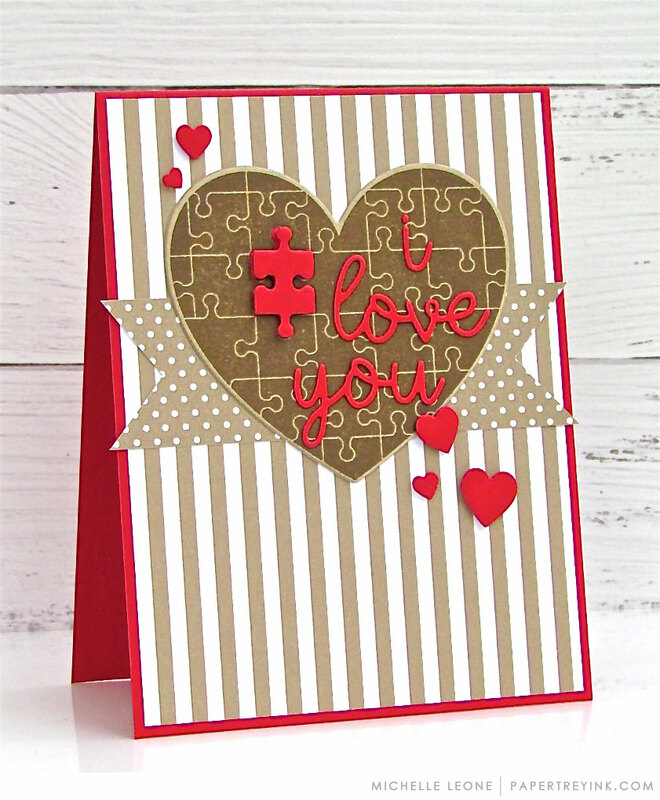 I’m totally smitten with the envelope die and the puzzle heart! Both are so cute and fun! I love the valentines and hearts! The mix and mat die is so pretty! Thanks for the inspiring products. All of these gorgeous projects makes me want it all? Such cute projects by the DT! Love the puzzle pieces. A nice spin on the Valentine’s theme. Oh my goodness this months release is so amazing and it’s only day 2. I love everything showcased today. The heart dies are the perfect size for Valentine’s Day cards. Love all the projects created my all the team members. You are all amazing! Love Perfect Fit! Can’t wait to see everything! Oh such Sweet Valentines Day inspiration showcased today. Great new products for any LOVE card occasions! Love the font with the Perfect Fit stamps! Super cute projects today! I just love Perfect Fit, the little puzzle piece is so cure! Fantastic inspiration ! Such amazing ways to celebrate love and friendship! Perfect Fit is a true delight. I love Stephanie’s CAS “Love you to pieces” card! Such fun projects today! I love the envelope die! Perfect Fit has a piece of my heart.Love the possibilities. Love all the hearts & wonderful projects! I love the puzzle pieces. My sons have autism and that’s their logo. Love all the cards today and especially those envelopes! Love today’s projects but I’m very excited about the perfect fit set. I love those little envelopes!! 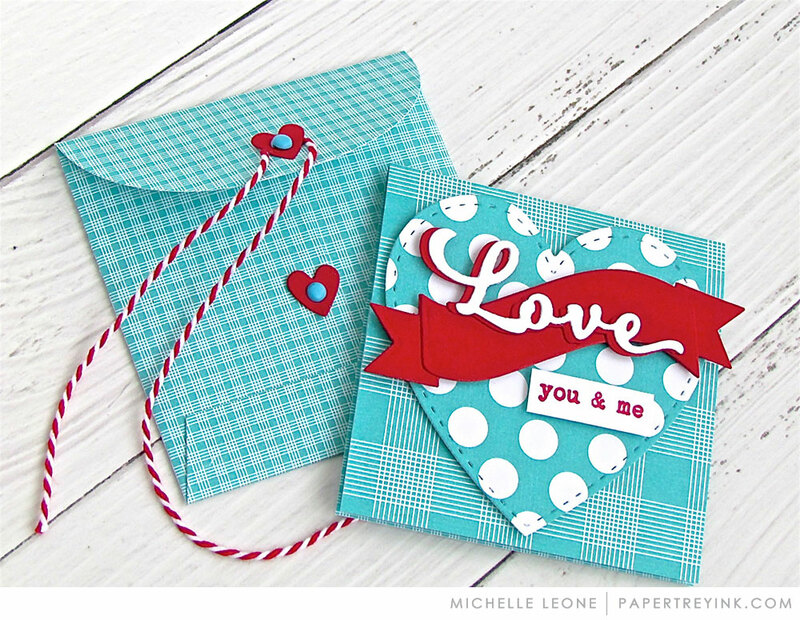 Wow, the new You Have My Heart & Envelope set is too darn cute! So much inspiration today! Love the new little envelope! I just love the puzzle concept for Perfect Fit, such a fun clever idea that can be used in so many ways! Love the new Valentine stamps and dies. Love those little envelopes! They are so cute! I love all the Valentine cards the team made. So many beautiful ones. I Love all the LOVE on day 2! I can’t wait to see more! Adorable cards from the DT. The projects are so sweet and cute! My favorite stamp set is the Perfect Fit set. Can’t wait to see the rest of the countdown! Such sweeeeet hearts! The design team’s projects are all amazing! The Perfect Fit Heart Die is so cute. I love the simplicity of it… Great design! I love the heart cards and the envelopes, and the puzzle pieces too. Beautiful cards and products! So many wonderful choices for sending and sharing love! Hearts everywhere…..I’m in love ?! I am so excited about this amazing new release!!! Oh WOW this release is awesome!!! I LOVE Valentines so I LOVE LOVE LOVE these new goodies!! So very sweet! Love the heart with the puzzle piece! Such beautiful products for Valentine’s Day and beyond! 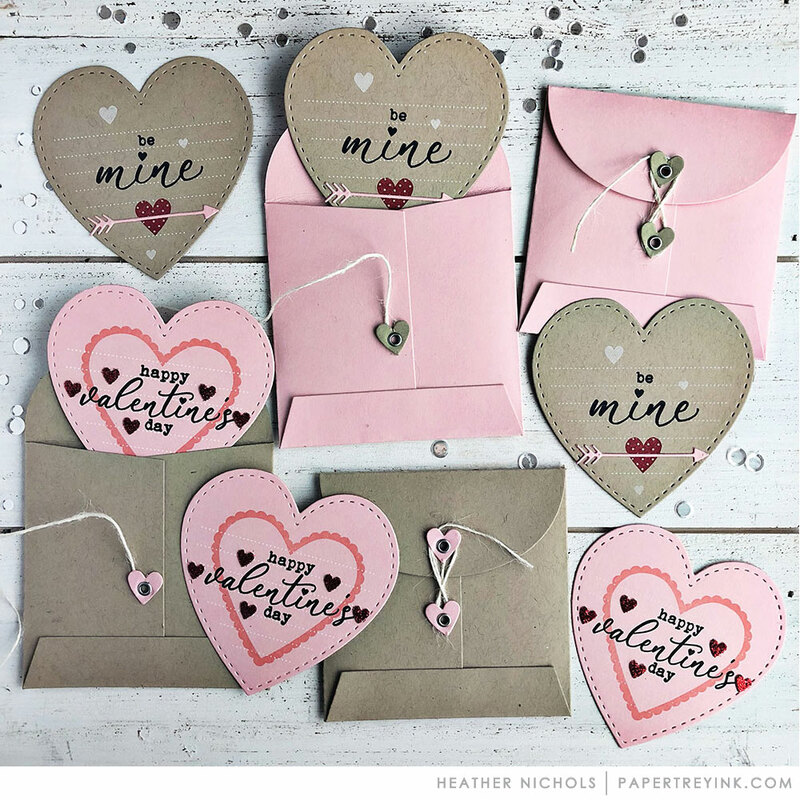 So many fun ideas for making valentines! And the envelope would be useful for lots of occasions. The envelope die is “too cute”. Love the paper too! So many great choices. I adore mini things so I love the sweet little heart and envelope for today. It is darling! Love the puzzle pieces and the fun sentiments! Have my Heart & envelope dies are cute! On my wish list for sure! Great job! Thanks! So many cute ideas here today! 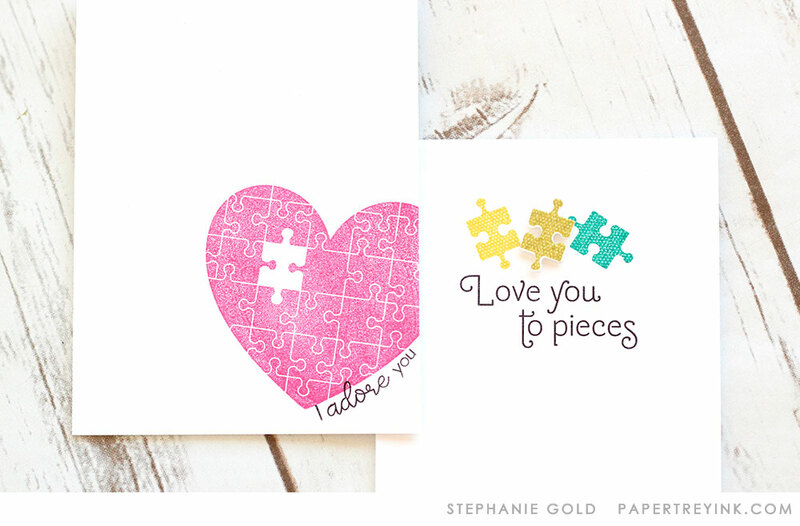 I love the puzzle pieced heart and can’t wait to get my hands on that envelope die! I am so excited for the stitched heart die! Gosh that envelope die sure is super cute! Such beautiful valentines! Love the new envie! Great new products for Valentine’s Day. Perfect for both masculine and feminine cards. Love the heart with the puzzle pieces! And I’m so excited to see a new huggable character! Monkeys are adorable! Love all the new hearts and love stuff. I just love the Perfect Fit set and die and all the great examples. It’s on my list. How large is the finished (assembled) envelope?